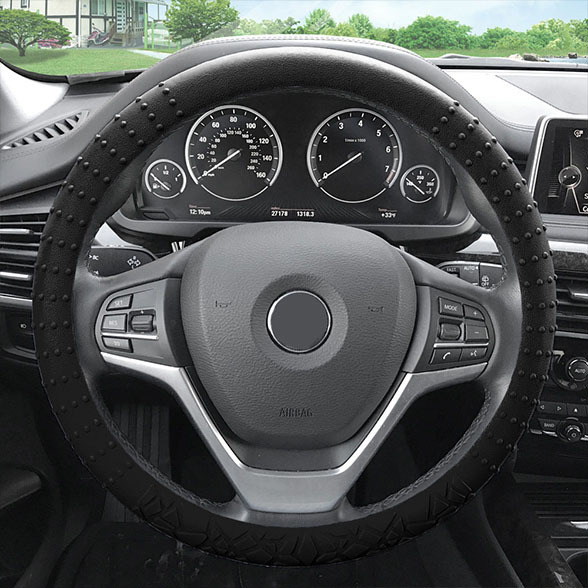 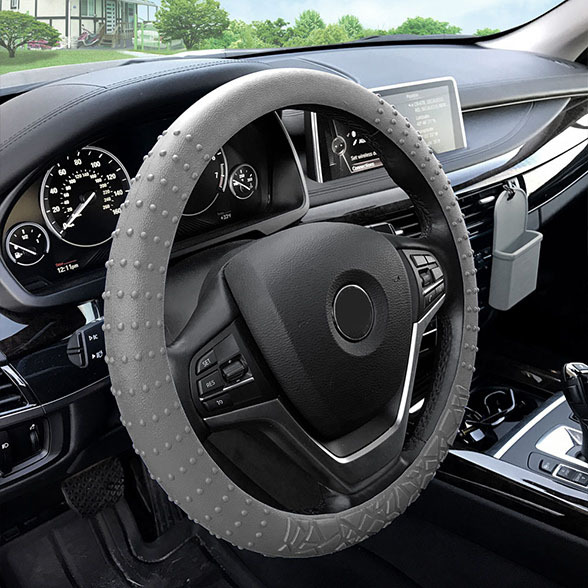 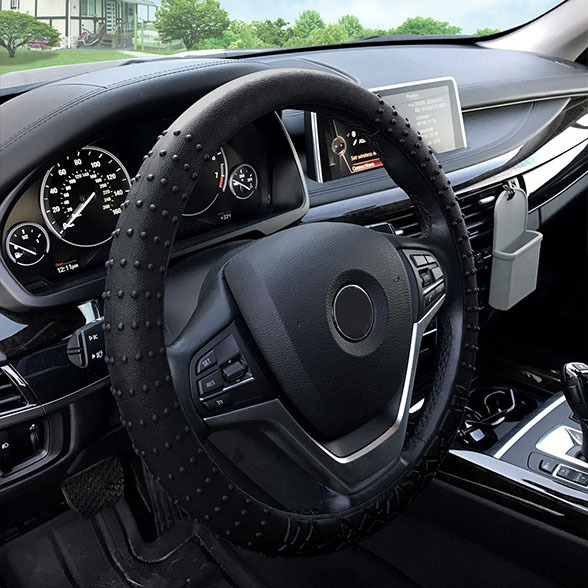 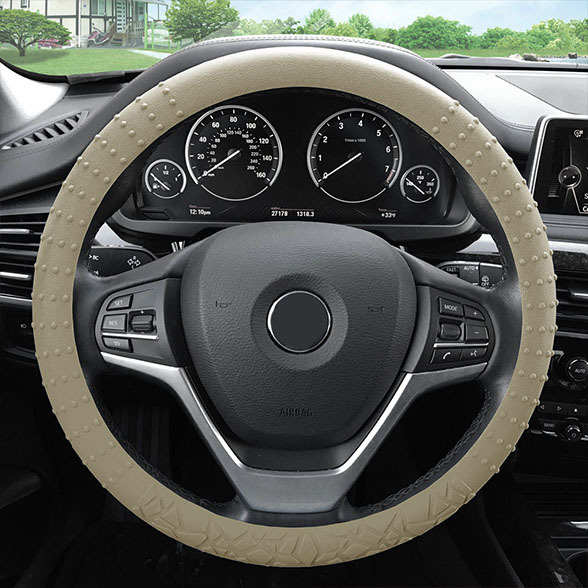 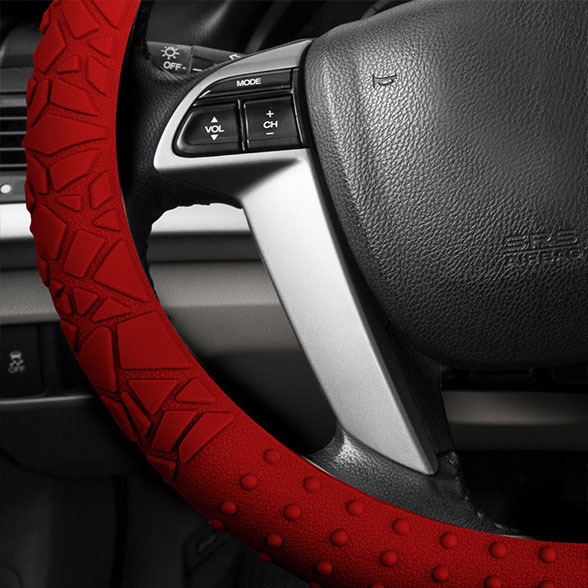 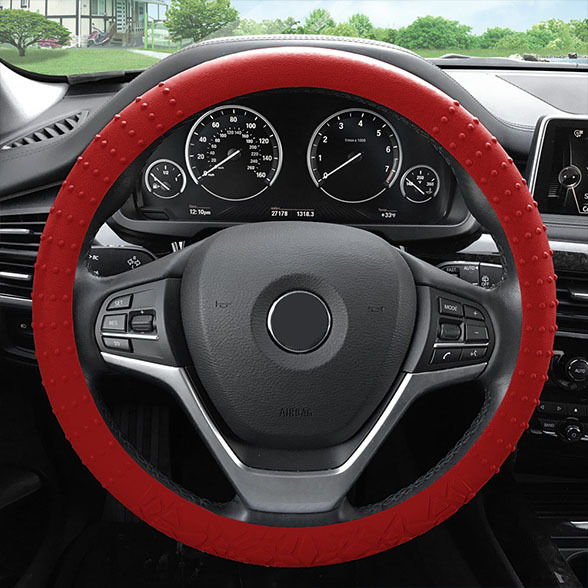 Switch up the interior of your car with this multifunctional steering wheel cover. 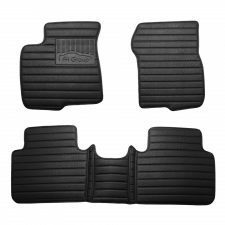 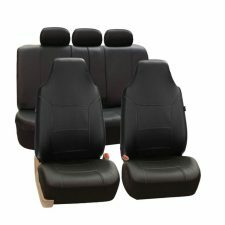 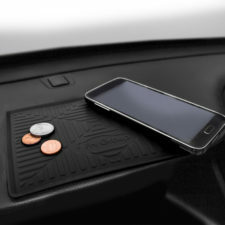 It is soft, skid resistant and has the elasticity to fit any steering wheel in cars, vans, trucks, and SUVs. Non-toxic, odorless, and eco-friendly silicone: so you can be more conscious of your planet with using our products. Easy for a quick clean, has long-term stability and durability. 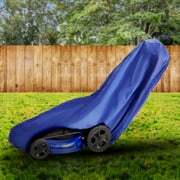 Easy to install and shape does not change over time. Silicone products approved by FDA, SGS, and LFGB. Provides protection against extreme temperatures from -40°F to 446°F / -40°C to 230°C. 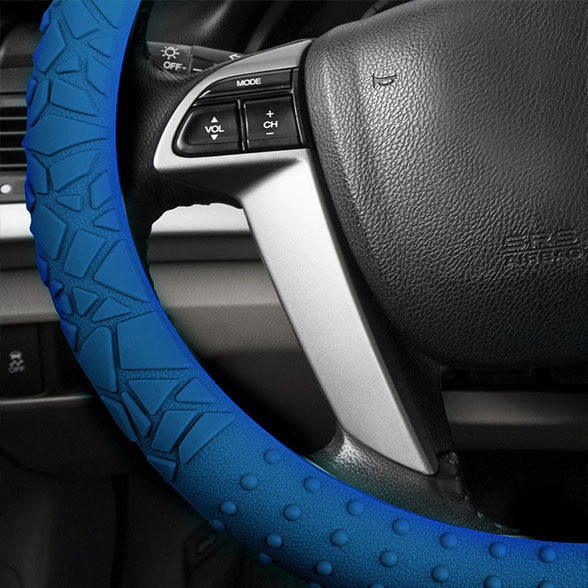 No distortion and color does not fade over time. Thank you for contacting. 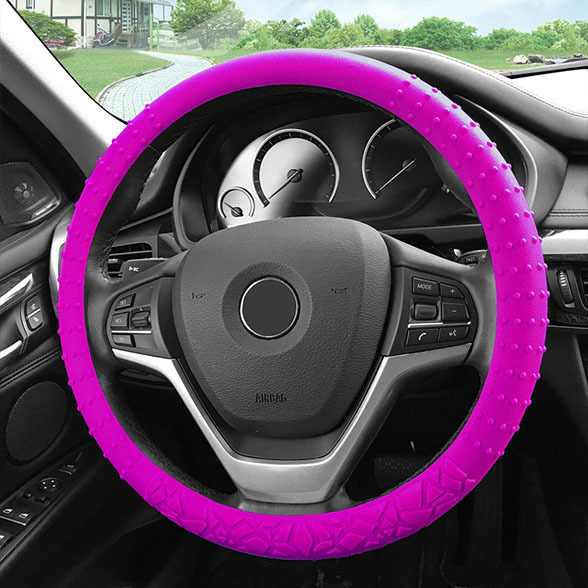 I am sorry for the inconvenience. May I please have your order number? 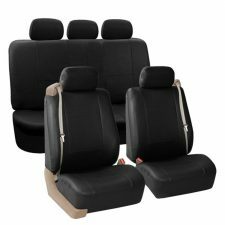 I love this set , good quality and easy to put on . 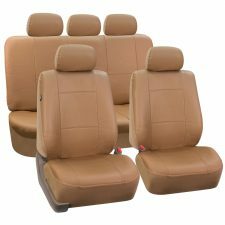 Only one thing I would love to have a back seat to match with my front seats !! I bought this wheel cover for a 07 Kia Optima LX, I originally applied it over the current cover because the weather was cold and it was too stiff to remove. A week later I worked the old one off and applied this silicone cover. Doesn’t fit too tight and not to loose, it does move a wee bit and unlike my other cover it gives me a grip on the steering wheel but turning with one hand it doesn’t allow for a smooth slide. 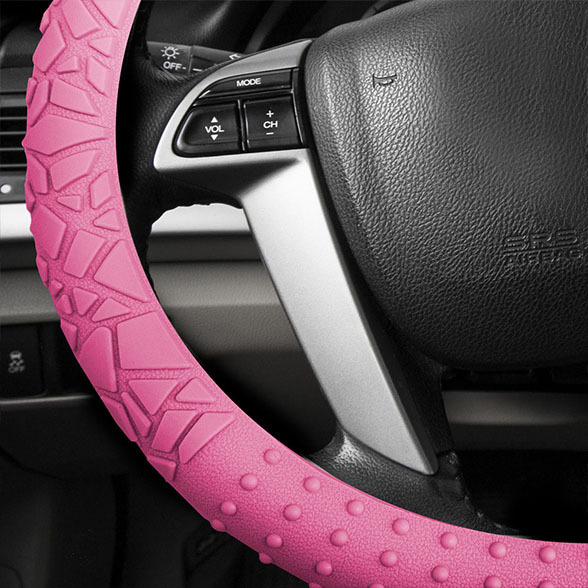 The silicone will hold your hand in place. Not a game changer just something that you have to get used to. 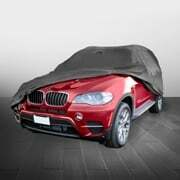 If you need a cover give this one try.